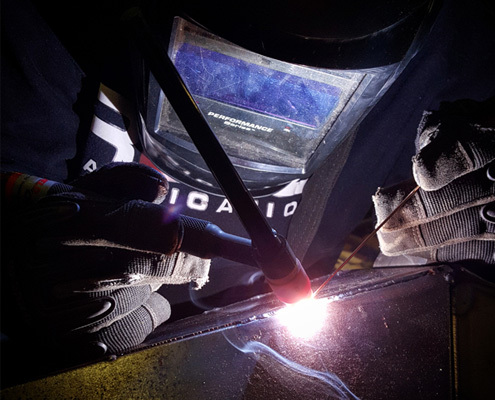 At Resz Fabrication, welding is not only a process of joining metals but an art. Not only do we take pride in the appearance of our welds but also the strength. We take the extra time to properly clean and prepare surfaces before we begin welding. This process uses an enclosed electrode, or a stick, to melt materials together. MIG welding stands for metal inert gas. In this process a spool of wire is fed through a tip in the MIG gun. When the trigger is pulled the tip melts the wire and forms a weld puddle. This process of welding works best on thin metals including stainless, mild steel, and aluminum. TIG welding stands for tungsten inert gas. This type of welding uses Argon and Helium gases during the welding process. 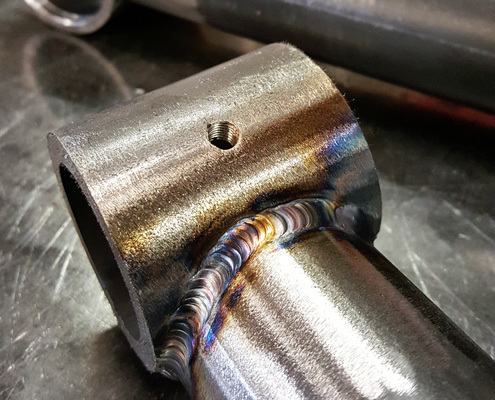 TIG welding is mostly used in industries where high detail and delicate parts are involved.